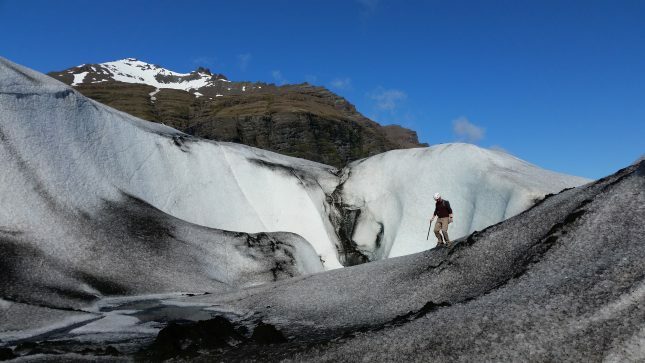 Glacier hiking and ice caving adventure in Vatnajökull glacier departing from Skaftafell. 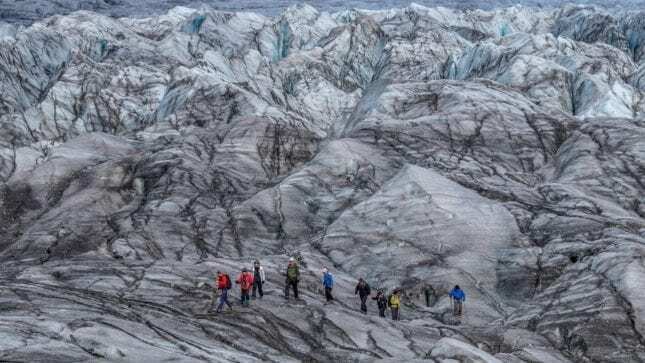 A grand tour on Europe’s largest glacier. 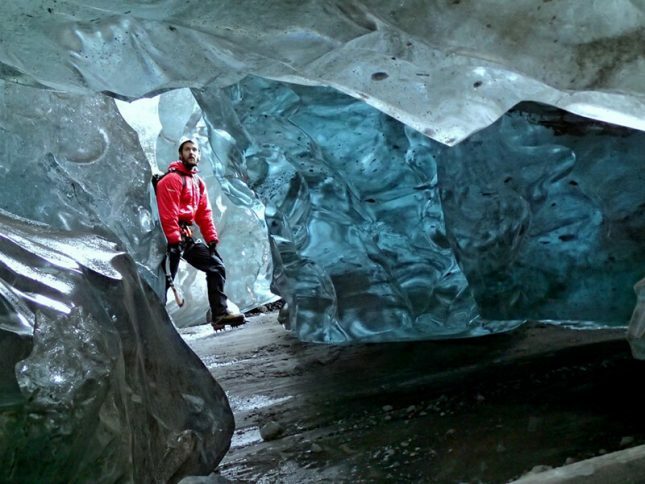 This Ice caving and glacier hiking adventure tour in Falljokull glacier is a fantastic choice for any adventure enthusiast. Ice caves are naturally formed and are for that reason ever changing, making them even more charming and unique. 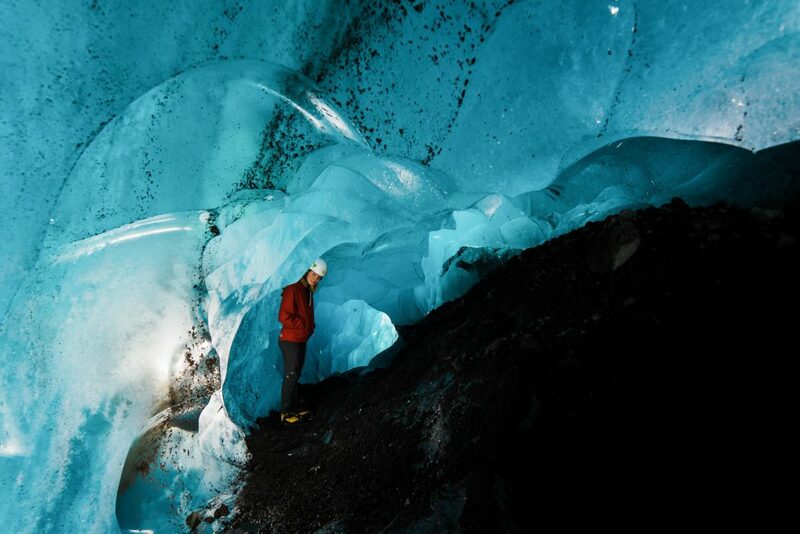 The cave you visit on this tour is located quite high up on the glacier so a glacier hike is needed in order reach it. 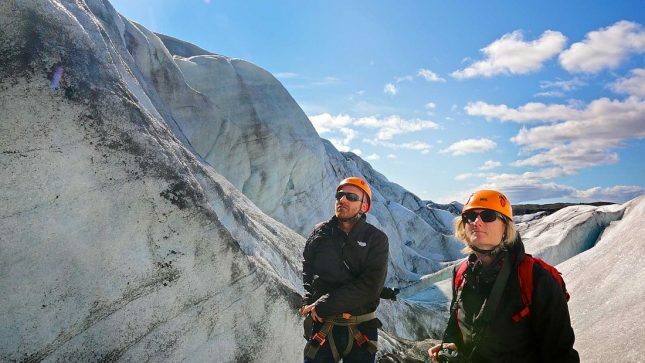 This adds value to the whole glacier experience giving you two activities in one tour! 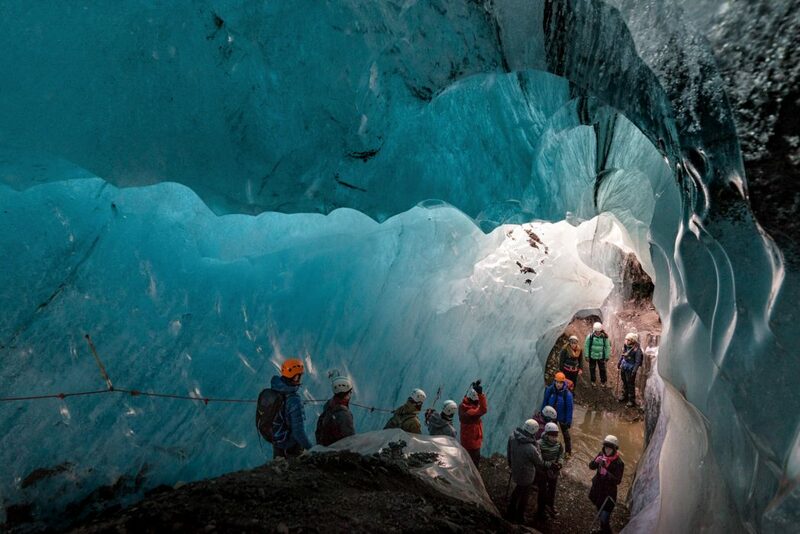 During the winter, we are able to offer an unforgettable tour into the glacier. Every year we use a different cave, as the glacier is ever changing and it provides us with an amazing place to explore every winter. 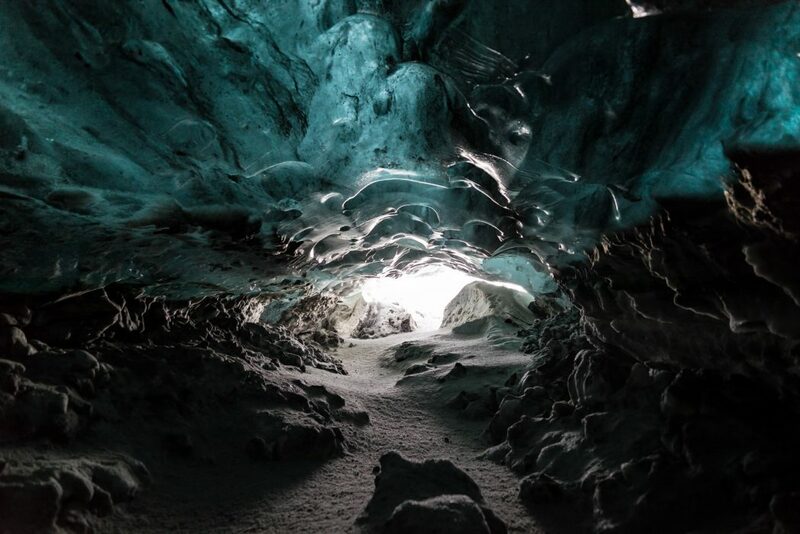 The ice cave is very sensitive to temperature, accessibility and other conditions. We always put safety first on these tours and never go into the glacier unless it is absolutely safe for our costumers. 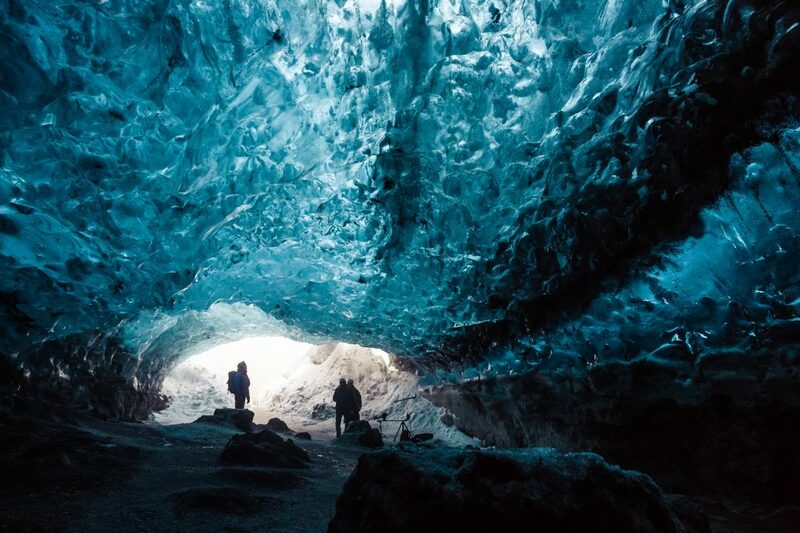 Visiting an Ice Cave provides a unique experience and great photographic opportunity. The light shining through the ancient ice projects a magical blue color that is characteristic for the crystal caves. Your glacier hiking and ice cave adventure starts at the booking office in Skaftafell, located at the parking lot in Skaftafell National Park. Please note that you need to arrive at our booking office no later than 30 minutes prior to your departure time. 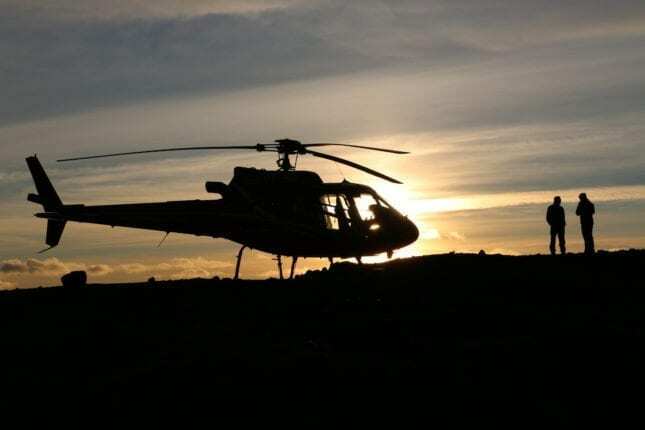 Upon arrival to our booking office, our guides and staff will greet you and provide you with all the necessary gear for your glacier hiking and ice cave adventure before heading to Falljökullglacier tongue. 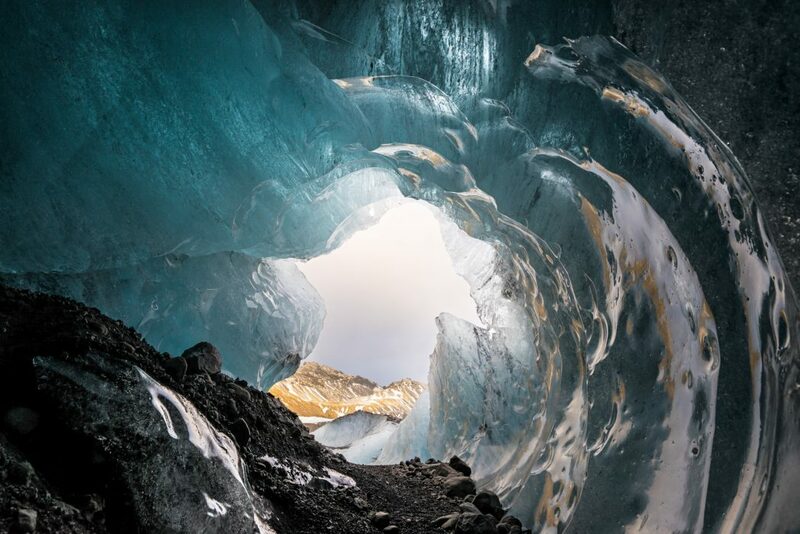 Falljökull glacier is an outlet glacier from the magnificent Vatnajokullicecap, the largest glacier in all Europe. The drive to Falljokull from the booking office in Skaftafell is about 15-20 minutes. It is a scenic drive and you can almost feel the excitement on the bus. 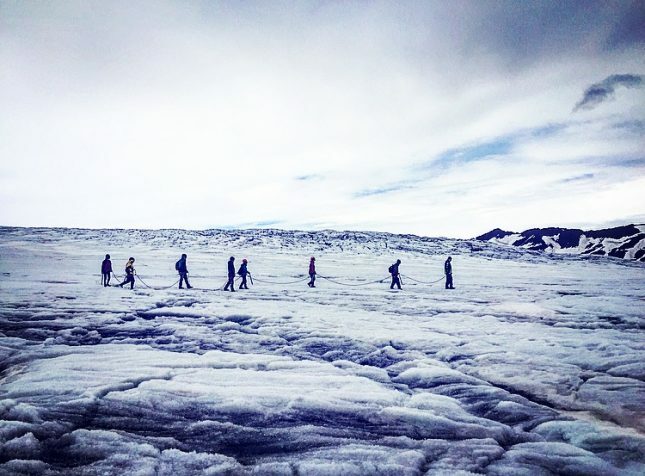 From the parking lot of the glacier, your certified glacier guide will help you gear up and provide you with a safety briefing before accompanying you onto the ice. Once on the ice, you start hiking in magnificent scenery to the naturally formed ice cave/ice tunnel where we spend approximately 15-20 minutes exploring all that the cave has to offer. After taking a photo or two inside the cave we hike back over the glacier, through an adventures landscape of rugged ice. 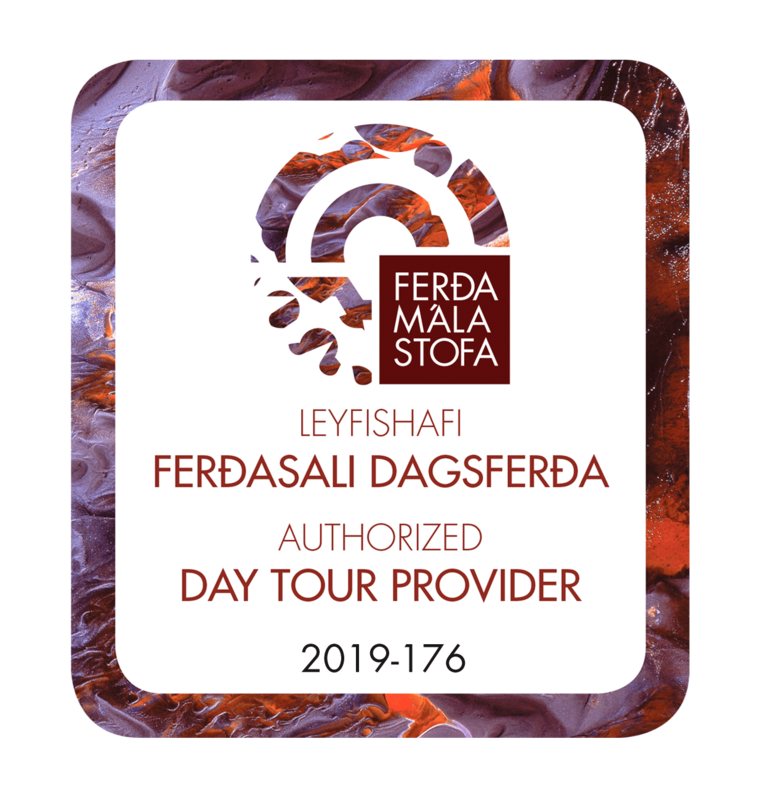 Please note that the tour is operated from Skaftafell so you need to arrange transport to the meeting place as there is no transport available for this tour from Reykjavik. If you are an experienced driver we recommend that you rent a car because the bus schedule is limited during the winter. You might also be interested in our two-day tour.  This is an ice cave tour only so it is not combined with a glacier walk. 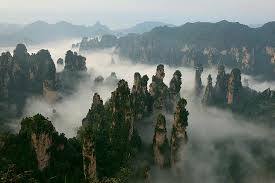 Warm clothing, waterproof jacket and pants, hiking boots, head-wear and gloves. Meeting point: Skaftafell booking center (gray house with the turf roof), 30 minutes before tour starts. Skaftafell is located 327km (203 miles) from Reykjavík.  The nearest towns to Skaftafell are Kirkjubæjarklaustur, 69km to the west and Höfn, 130km to the east. Lovely tour. Prompt departure at 9.15, the guide and the driver were both very nice, great atmosphere. The cave itself was stunning, as advertised on the website, however bear in mind there will be a lot of people there. The time allowed to explore the cave was about 40 minutes.On the way back the driver pulled over so we could take some pictures at a beautiful view point. The drive in the snow itself was fun as well. 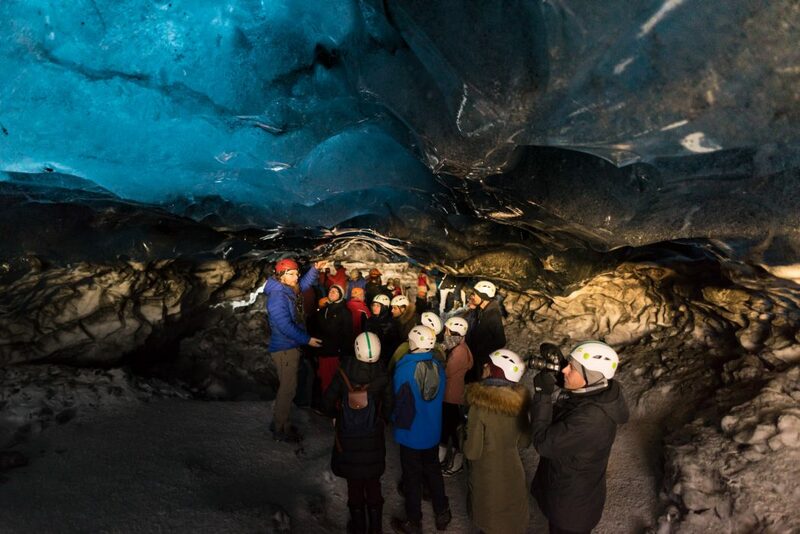 The crystal ice cave was definitely one of the highlights of our winter trip to Iceland. 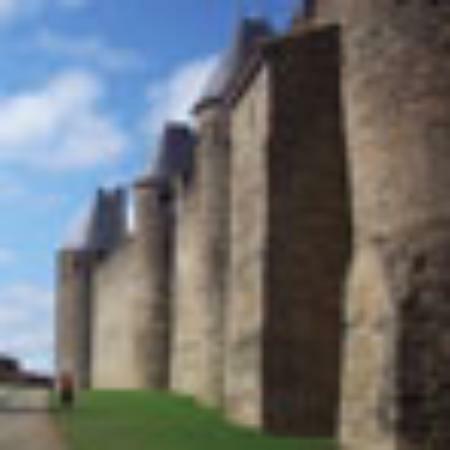 And if you are here during the winter months this tour should be on your list of things to do. What a great experience. There were a few groups in the cave while we were there, but it was large enough that you never felt cramped. The tour guides allowed plenty of time for taking pictures and exploring the cave. So glad we included this as part of our trip. The 3rd of April, my boyfriend and me took the “Into the Glacier” tour with Artic Adventures. The best part of our trip to Iceland! Unfourtunately I don’t remember the name of our guide, he is spanish. We really enjoyed our journey. From the truck trip, to the moment of tasting the purest and cleanest water, direct from the glacier to our mouths. Walking on a glacier, under the sun was incredible. Bus stepping inside and ice cave… that was a must! Thanks again, we’ll be back! !